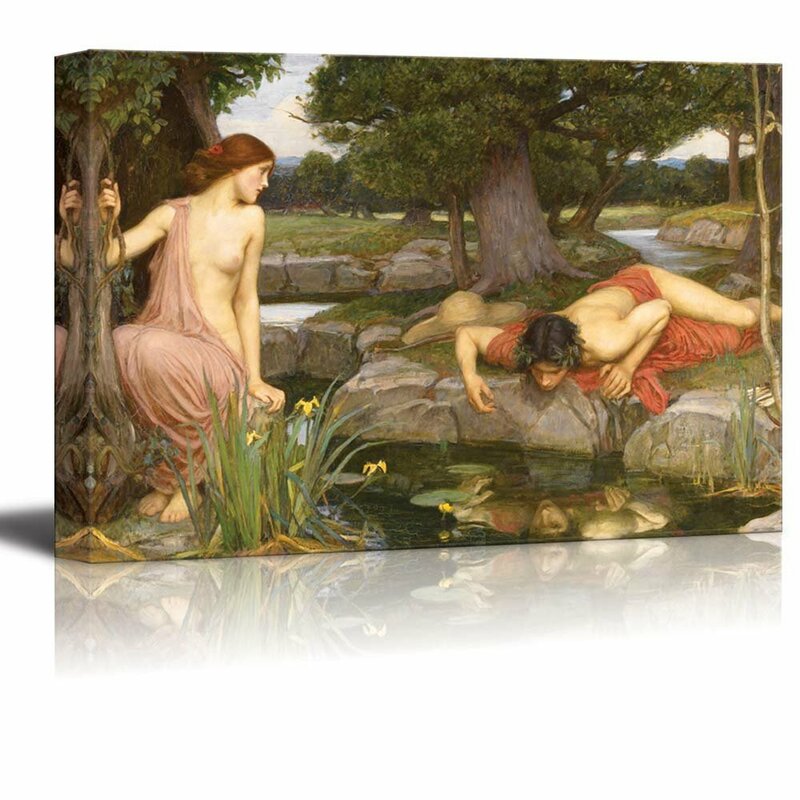 Echo and Narcissus by John William Waterhouse Giclee Canvas Prints Wrapped Gallery Wall Art | Stretched and Framed Ready to Hang - 24" x 36"
I bought the 24"x36" size for under $40. It arrived promptly and in perfect condition. It's a great price, comes with hardware for hanging and looks beautiful. I couldn't have purchased this size print and framed it for $40-- and even if I could, it would have been paper under glass, nothing so pretty as the stretched canvas.